The George Washington University Graduate School of Political Management is offering an open course (a so-called MOOC) entitled Business in a Political Age taught by its leader, The Hon. Mark Kennedy. I have known Mark Kennedy for many years. He has been a successful business man, a politician who served his country and he now leads George Washington University’s Graduate School of Political Management. He has guest lectured several times in my Global Capital Markets class at the University of Minnesota Law School (I’m currently on a sabbatical of sorts) as I have in some of his classes. His keen intellect and deep insights are priceless. That he is willing to share his insights in a free open access course is a gift. I signed up for the course. Additional Information from the website for the course. 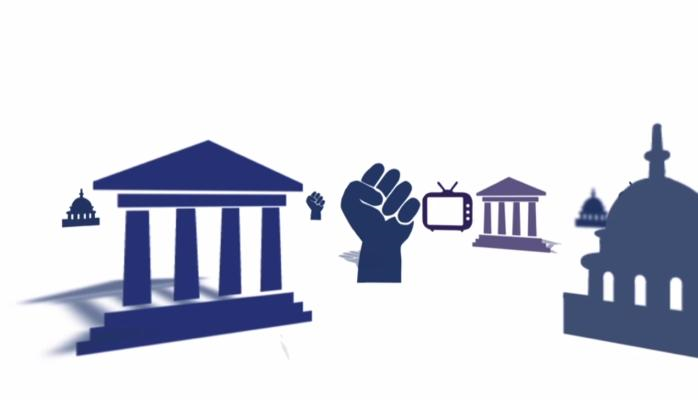 Business in a Political Age is a 7-week open, online course offered through the George Washington University’s Graduate School of Political Management. The course, designed and delivered by Professor Mark R. Kennedy, is centered around equipping business professionals with strategies for engaging shapeholders – the political, regulatory, media, and activist actors in society that shape an organization’s environment and opportunities. By the end of this course, you will be able to: 1. identify non-market actors (i.e. shapeholders) and analyze their potential impact on a business; 2. explain the 7As approach to shapeholder engagement and how a business can utilize the framework to develop a nonmarket strategy; and, 3. plan and execute mutually beneficial approaches to effective engagement with non-market players (i.e. shapeholders). Although there are no academic or professional prerequisites for this open course, the course is designed with private sector professionals in mind. Therefore, at least some level of business experience may be helpful to you, although not required. The Honorable Mark Kennedy (MBA Michigan, BS St. John’s MN) reveals insights from a unique combination of experiences in Business – expanding Häagen Dazs globally, Treasurer of today’s Macy’s; Government – U.S. Congressman, international trade advisor under both Presidents Bush and Obama; and three decades of active global engagement. Professor Kennedy now leads George Washington University’s (GWU) Graduate School of Political Management, and is faculty at GWU’s Elliott School of International Affairs’ Institute for International Economic Policy. Kennedy chairs the Economic Club of Minnesota, the region’s premier policy forum, and is a Member of the Council on Foreign Relations. Kennedy teaches and speaks on how to engage to win in business, politics and world affairs. In Business in a Political Age Kennedy introduces the concept of “Shapeholders” to the field of business strategy – the political, regulatory, media, and activist actors that shape a firm’s opportunities and risks. Kennedy teaches how to effectively engage shapeholders both at home and abroad to profitably advance business strategies while benefiting society.